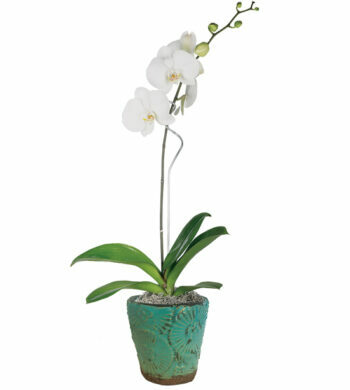 A perfect choice for the orchid aficionado or someone who appreciates the exotic and exquisite, this dendrobium orchid makes an unforgettable birthday gift. 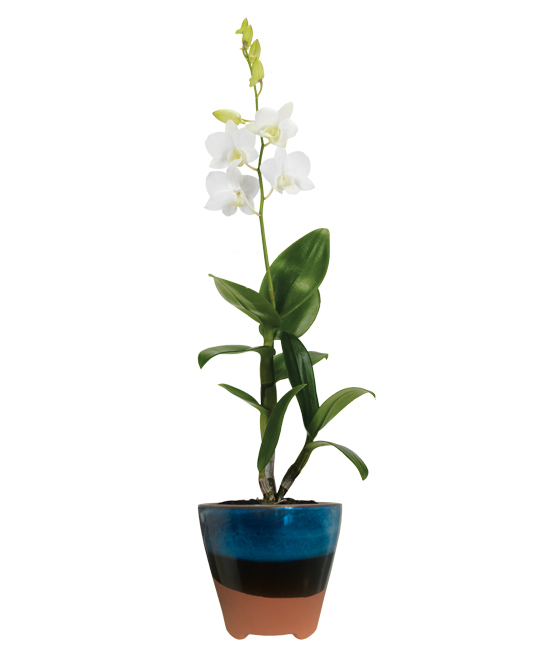 Our colorful ceramic cachepot is the perfect counterpoint to the breathtaking white orchid. 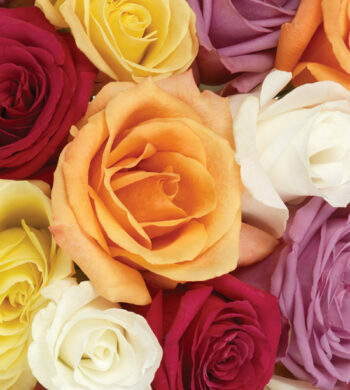 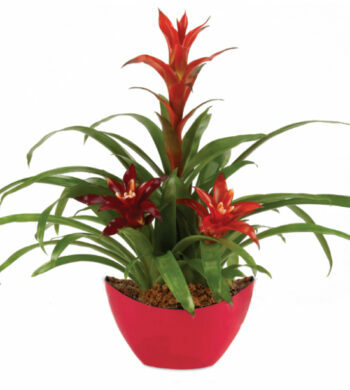 The plant will arrive with both buds and blooms that will last for weeks.